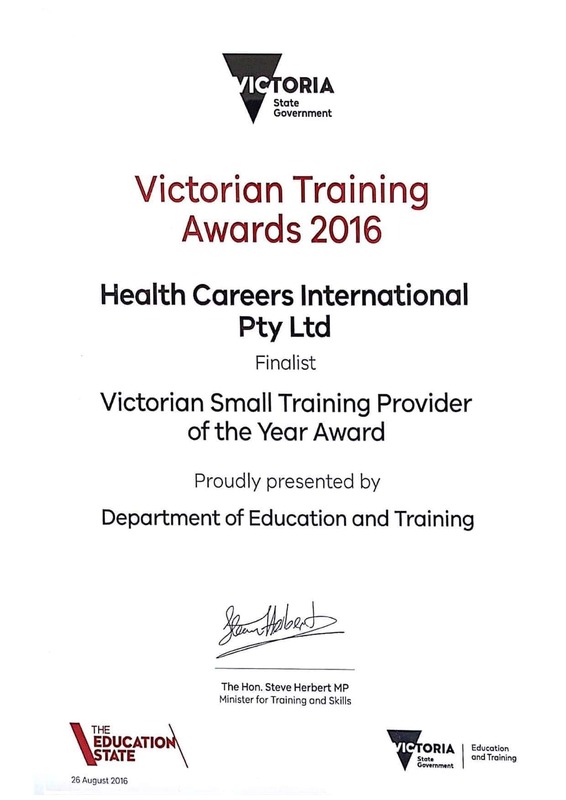 25th August 2016: The Institute of Health and Nursing Australia (IHNA) was last night announced as a finalist for the Victorian Small Training Provider of the Year at the 2016 Victorian Training Awards. IHNA was recognised for its innovative approach to enhancing the work readiness and learning experience for nursing and healthcare students by blending learning resources, and simulated workplace experiences onto Knowledge Hub, a single online campus and learning management platform. “Healthcare and nursing is a skills based profession, and it is very important that students are able to learn the latest techniques and practice in an environment that is as close as possible to the ‘real-thing’,” said Bijo Kunnumpurath, Managing Director of IHNA. “Continually developing new ways to deliver engaging education and training is an important part of our innovation agenda, and reflects our commitment to preparing students for a successful transition into their profession. I am proud of the expertise and dedication of our team during what has been a period of great change in the vocational education sector,” said Mr Kunnumpurath. Interactive video and learning sessions which provide a unique opportunity for students to engage with the learning materials and better understand the key concepts and learning. This is particularly important in a profession such as healthcare where poor skills in areas such as medication administration may have dire consequences. The Victorian Training Awards recognise the achievements of students, trainees and apprentices and the teachers, schools and businesses who provide their training. The awards were presented at a gala dinner held in Melbourne. IHNA is one of Australia’s leading providers of comprehensive health and nursing education with campuses in Melbourne, Sydney and Perth. IHNA’s high quality healthcare courses open a multitude of education pathways and are complemented by continuing professional education and upskilling.